← Teaching Crows to Contribute to Society. Have you ever wondered why some trees have leaves while others have “needles”? The purpose of the leaves on a tree is twofold: the leaves help to facilitate the exchange of gases (they “inhale” carbon dioxide” and “exhale” oxygen; now go thank a tree), and to collect sunlight for photosynthesis. Small openings on the leaves, called stomata (singular: stoma), can open and close, allowing the passage of CO2 into the tree’s circulatory system. CO2 and sunlight combine to make essential sugars for the plant, but the open stomata also lose water during respiration. In a tree’s ideal world, it would be bright and sunny all year long with high humidity. That way, the leaves could collect lots of sunlight without losing a lot of water, and not have to survive a winter. Since that only happens in the tropics, where competition for those amazingly available resources is high, trees have evolved some pretty neat methods of surviving winters in the rest of the world. Deciduous, broadleaf trees in winter in the Mid-Atlantic region. Author photo. Let’s do some basic vocab first. So the difference in survival strategies between coniferous and deciduous trees boils down to two basic things: energy and soil. Most broadleaf trees live in areas where the soil is pretty nutritious. This is critical for deciduous trees because it takes a big nutrient boost to produce hundreds or thousands of new leafy suncatchers. 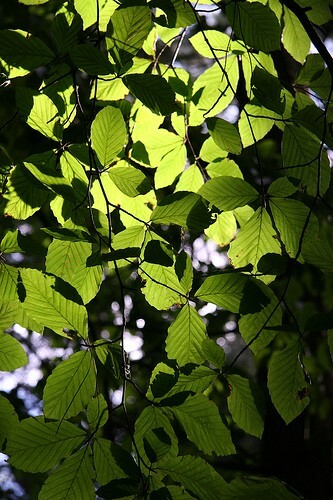 And broadleaves do, in fact, collect an enormous amount of sunlight compared to their coniferous cousins, meaning that they can photosynthesize at high rates through the warm season. Then, when autumn rolls around, the leaves can be dropped essentially on top of the tree’s roots, where they’ll recharge the soil with nutrients after composting. During the winter, most of the energy in the tree moves into its roots and it has a vastly reduced need for food, water, and growth during that time. Coniferous trees (cone-bearing, as opposed to singular seed-bearing), on the other hand, are typically evergreen. They retain their needles year-round, replacing them slowly throughout the year rather than all at once. Needles have a variety of benefits: they are smaller, more watertight and more windproof, and can photosynthesize all year long. Needles don’t collect a lot of sunlight themselves, but overall the tree can continue photosynthesizing at a reduced rate whenever sunlight is available during winter months. Needles, with their reduced surface area, are harder to destroy and less tasty to insects. Since conifers don’t drop all their needles at once, they don’t need a big nutrient boost in the spring – which is good, because conifers typically inhabit areas with poor soils and less water than their deciduous cousins. This is why you see so many deciduous forests in the Eastern half of North America – where the soil is rich and there’s more readily available water – and more coniferous forests in the Western half, where soils tend to be poorer and the climate is more arid. Deciduous trees seem to have a “live fast and hard” system while coniferous trees seem to have a “slow and steady” lifestyle. Both work, and well! There are some exceptions to these very general guidelines, however, and they’re definitely worth mentioning. Tamaracks and Larches (Larix species) are deciduous conifers. They’re found all over northern North America and contribute to the beautiful autumn displays as their needles turn a golden yellow before falling off. No one’s exactly sure what the benefit of losing needles might be to this conifer, but perhaps Larix species meet the “hard and fast” and “slow and steady” lifestyle somewhere in the middle. Most deciduous trees don’t need much photosynthesizing during the winter because they go into a type of dormancy, but the Quaking Aspen (Populus tremuloides) is one deciduous tree that has adapted and learned to thrive in the poorer soils and colder climate of the Western US and Canada. The bark of the tree’s trunks contain chlorophyll and can photosynthesize in the winter months (when temps are above 27degreesF anyway). Now, it’s not terribly efficient (similar to shade-adapted leaves), but it helps. This, sadly, is the best photo I could find of green aspen bark. If you live near aspens, you can do a quick trick to see the green for yourself: lick your thumb and rub it on the bark. The faint yellow-green of the chlorophyll will magically appear before your eyes! I do not think the tree in the photo above had been licked, but it should have been. 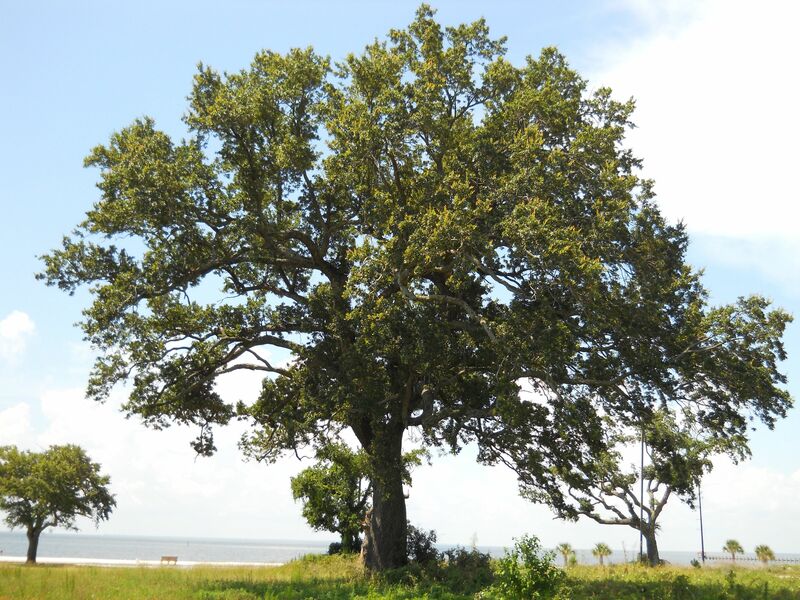 There’s also something called a “Live Oak,” which is an evergreen oak tree (Quercus virginiana). Most oaks are deciduous, but the Live Oak retains most of its leaves year-round. As you could imagine, these trees are typically found growing in warm, humid climes of the Southeastern US and the Gulf of Mexico. 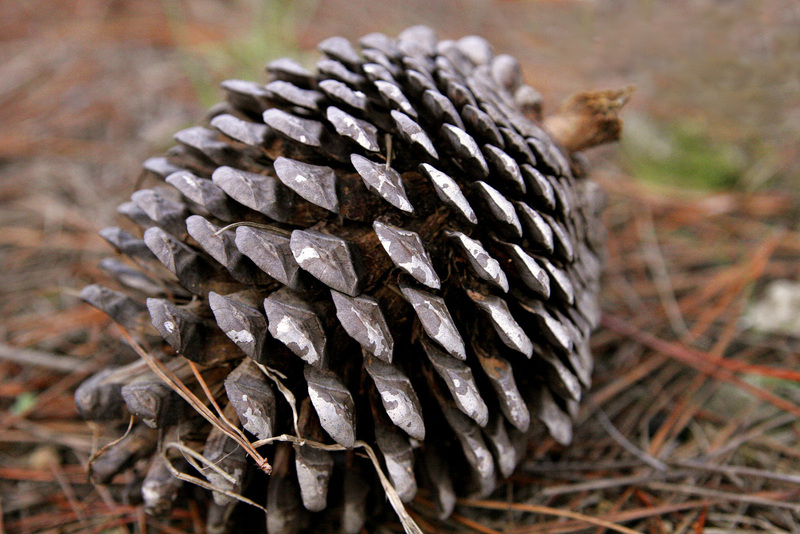 Posted on November 3, 2010, in Flora, Versus and tagged between, broadleaf, conifer, coniferous, deciduous, difference, flora, forest, live oak, naturalist, nature, pinecone, plants, roaming naturalist, seed, survival strategy, trees, vs. Bookmark the permalink. 25 Comments. I must admit, I never knew the bark of aspens could photosynthesize. I’m gonna go lick a tree. Haha! Careful Wendy, aspens contain the same aspirin-chemical cousin that willows do, and it’s bitter as all get-out! ;) Better to lick your thumb first. But you get extra points for your daring and enthusiasm! I really like your blog! Thanks for mentioning the tamarack, it is one of my favorites! The cones it bears come as a deep red, and in spring it feels like Christmas again! *blush! * Why thank you for the kind comments! I too love the Larix species, especially the starburst way that the needles emerge. The needles are also very soft and enjoyable to touch, unlike the stiff or sharp or resinous needles of other conifers! PS – I’m so in awe that you guys live off the grid. That’s my dream, to one day have myself a little spot with a woodburning stove and some solar! Way to go! The process of getting where we are took a lot of planning and hard work. But it was soooo worth it! I bet it is – right now I would settle for a wood burning stove! I just spent a few days backpacking in the Enchantment Lakes (eastern Cascade Range) and I can attest that larch needles are surprisingly soft to the touch. Plus they’re gorgeous when they turn gold! Very interesting post! I came upon your blog via a Google search. Unfortunately, this particular post didn’t answer my initial question — do trees with leaves capture more carbon dioxide than trees with needles? Hi Tracie! Thanks for the great question. The short answer is that I don’t know – those kinds of studies are not easy to perform (at least according to my own searching), but scientific studies are where you’d need to look for that information. There doesn’t seem to be a clear-cut answer; remember, deciduous trees can only take in a lot of carbon dioxide during half the year, whereas coniferous trees, which tend to be evergreen, can intake year-round. Thanks for your Roaming Naturalist website. I think visitors to your site might enjoy hours of browsing the 1000 species of western wildflowers, trees, and ferns on my educational, non-commercial web site: http://www.swcoloradowildflowers.com . The site has biographies of naturalists, a glossary, details about each plant, ideas about plant photography, etc. A couple of years ago in Algonquin park in Ontario i noticed that coniferous trees grow along the water line and the rest of the forest was mainly deciduous. This is contrary to all liturature i’ve read. Any explaination for why this might happen? Hi Brandon! It just depends on the species – some coniferous trees like being near water, some don’t. Do you have any idea what those trees were? I’d be interested to know! Thanks for reading the blog and writing in! I purchased and planted what I was told where three true green laurel trees that would remain evergreen. However I can’t find this name anywhere but on the nursery’s website that sold me the trees. The leaves have turned red, brown and then fallen off and the branches have black dots on it. The nursery stated that this was due to one night of freezing temperatures, however the leaves we’re falling prior to the freeze. Since it’s not a live oak do you think it is really an evergreen and is there something rotten in Denmark? What you’re describing sounds like a couple of things could have happened – trees don’t start losing leaves based on freezing necessarily, but the change in daylight length. Black spots on the branches sounds to me like a fungal infection. If this is the case, the leaves may have fallen off because the tree is dying, but I couldn’t be sure without seeing it. Is the tree supposed to remain green through freezing temperatures? I would ask the nursery the scientific name/species of the tree – one of the troubles with common names is that they don’t tell you what kind of tree it actually is. :/ Does any of that help? 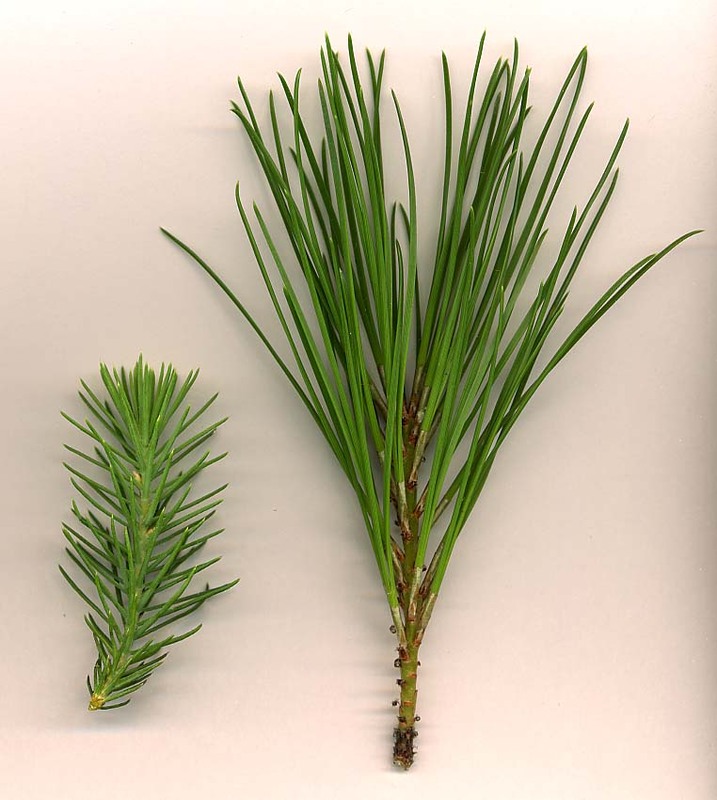 Can I ask a question – which is better for Co2 pine trees or broad leaf, and do you have figures? I was also wondering if you could tell me if Infiltration levels would be higher with deciduous or coniferous trees?